Posted by Morgan in flash mob, G20, tcktcktck. Sign up now to take part in the Pittsburgh global wake up call event. And bring your alarm clocks, because we need to really wake them up! On the corner of 7th and Penn, at the plaza, hundreds of Pittsburgh activists will converge on sleeping leaders. 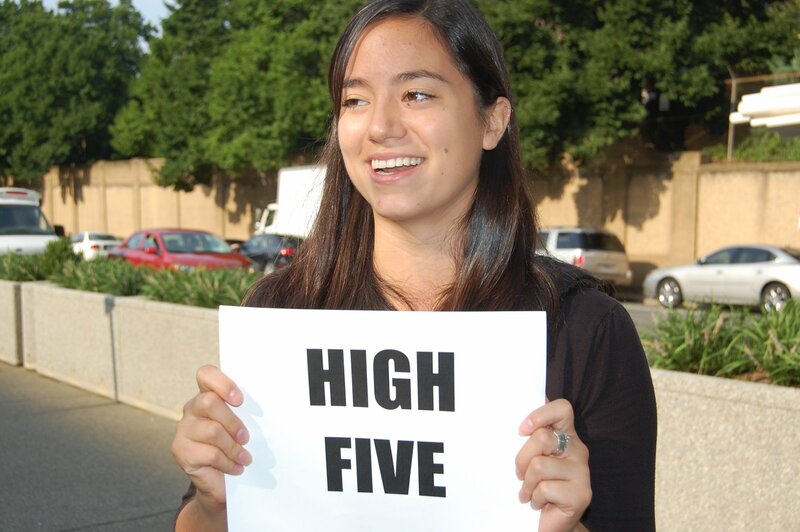 At over 1500 events world-wide, people will gather in public places in flash mobs. They’ll find each other by raising their synchronized alarms in the air (12:18pm, representing 12/18, the final day of Copenhagen negotiations). And then they’ll make phone calls to heads of state telling them to wake up and get serious about climate action. 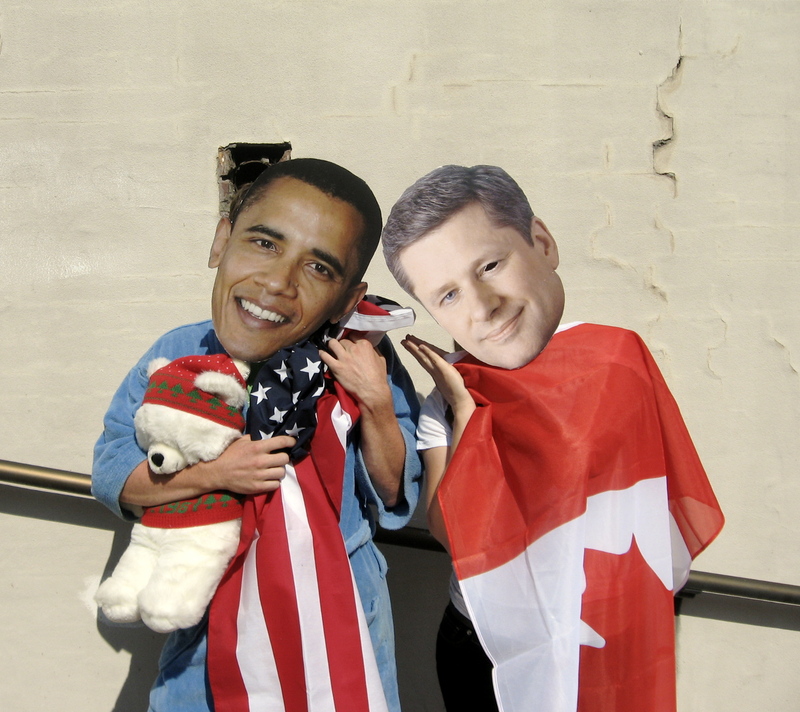 In Pittsburgh, a sleeping Obama (US), Harper (Canada), Merkel (Germany) and others will be snoozing on the sidewalk, when they’ll get the wake-up of their lives with huge alarm clocks and a chanting crowd. Come help! They are pretty deep sleepers! Posted by Morgan in clinton, copenhagen, flash mob, tcktcktck. Mysterious youngsters clad with monochromatic signs asking for a “Strong Global Climate Treaty” appeared early Thursday morning in front of the State Department Building in Washington DC. 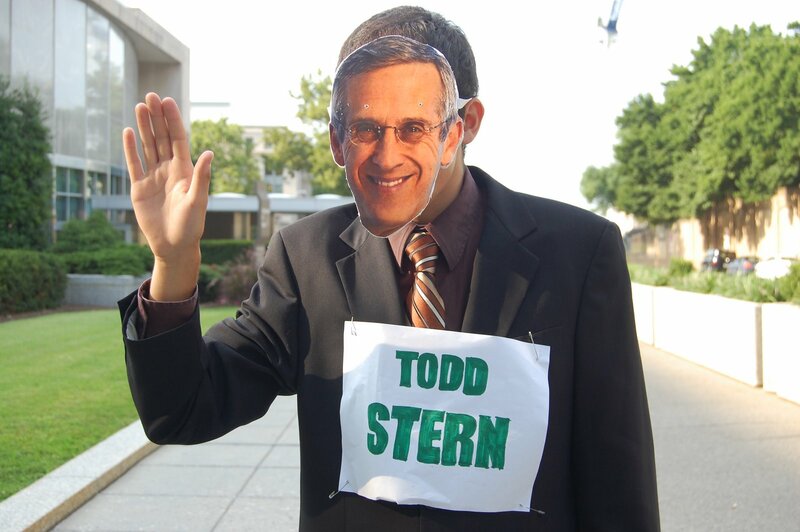 State employees as well as unaware commuters were welcomed by the unusual sight of individuals aligned down the street holding signs that read “Strong Global Climate Treaty, Needs Todd Stern, Todd Stern, Needs Hope, High Five,” where one of them masked as Todd Stern (Special Envoy on Climate Change for the United States) awaited them with a raised hand ready to receive the support that he needs in the form of high fives. Besides providing an unusual sight and an unfamiliar welcome to State Department employees, these young people are holding Mr. Stern accountable for the responsibilities that his position entails, and asking him to step up and push congress to provide America with a stronger climate bill, which will in turn allow the United States to have a positive presence in Copenhagen this December at the International Climate Change Negotiations. While the tactic used by the group to convey their message may be lighthearted, their ask is serious: A strong Global Climate Treaty is not only necessary, it’s urgent. The administration, including President Obama and State Secretary Hillary Clinton, along with the White House and State Department, must be held accountable for the promises they made on the campaign trail and continue to make in office. Supporting strong climate legislation is the most effective way to keep their promises and ensure that America leads the world to a clean energy future. 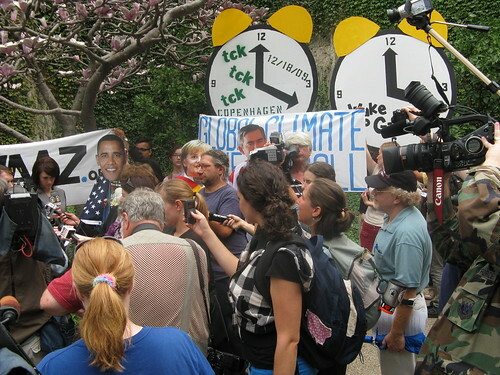 Posted by Morgan in climate bill, flash mob. 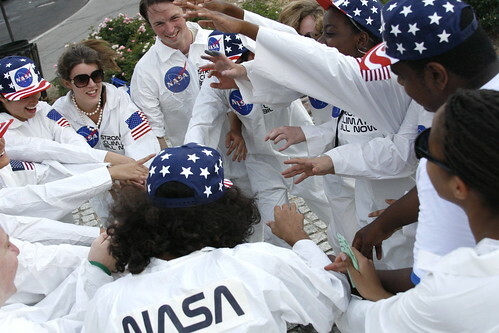 After a busy day in the Senate buildings, the Avaaz Action Factory Climate Astronauts made a special appearance outside of Union Station yesterday afternoon to boogie down for carbon emissions reductions. Their message was simple: when the U.S. decided to put man on the moon, we succeeded within a decade; let’s make the same commitment to cutting carbon by 40% in the next ten years! I’ll moonwalk for that. Passers-by with peaked interest received flyers explaining the necessity of passing a strong Senate climate bill which includes aggressive carbon emissions reduction targets. 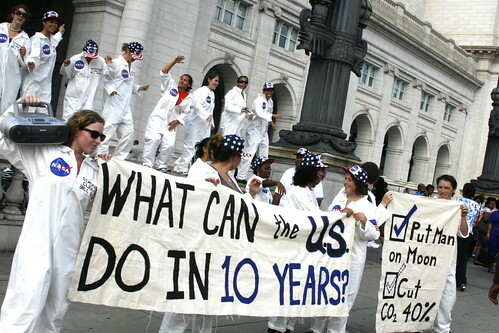 Some folks even stopped to join the festivities, declaring their dedication to solving global warming through dance.